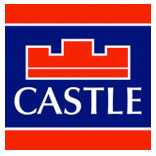 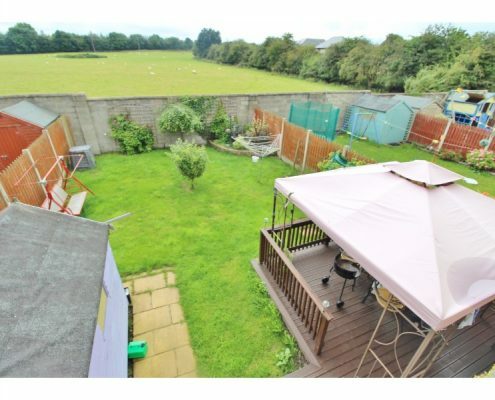 Castle Estate Agents are delighted to present 4 The View to the market. 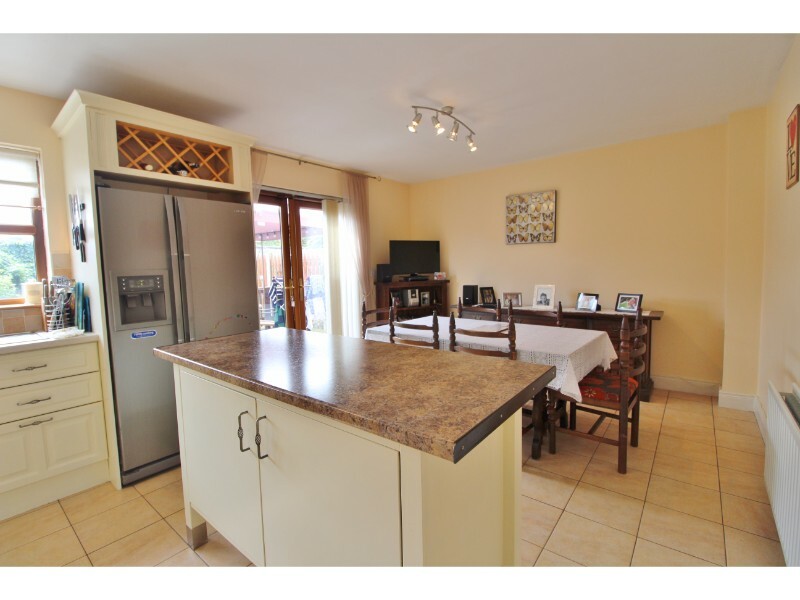 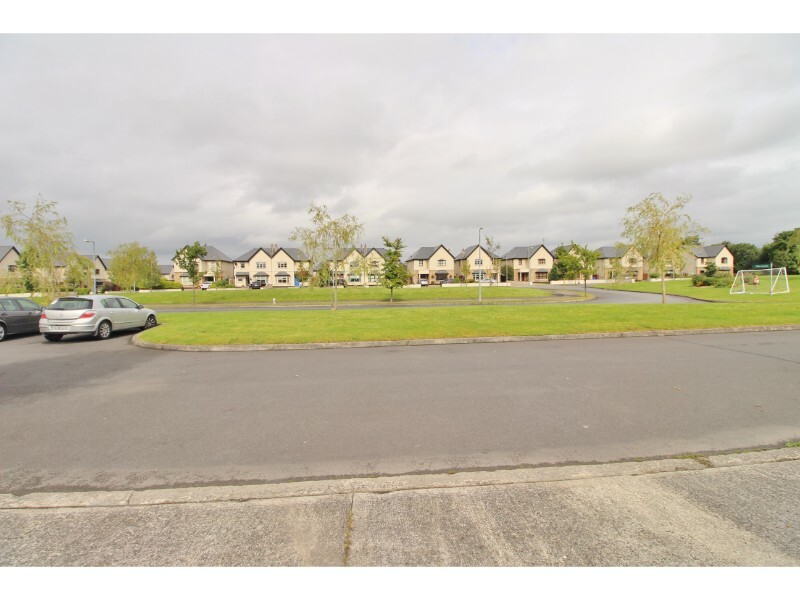 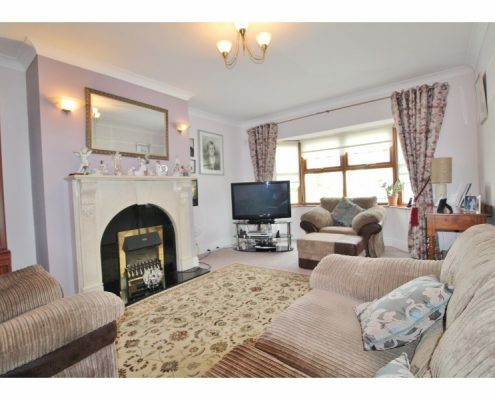 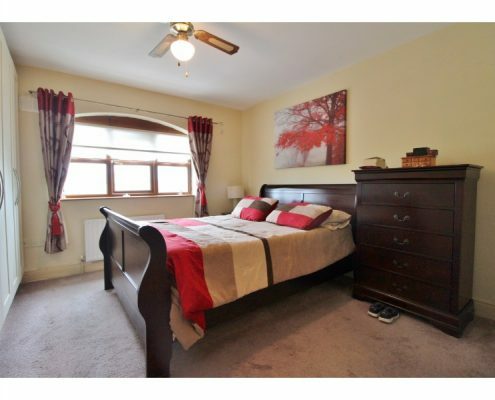 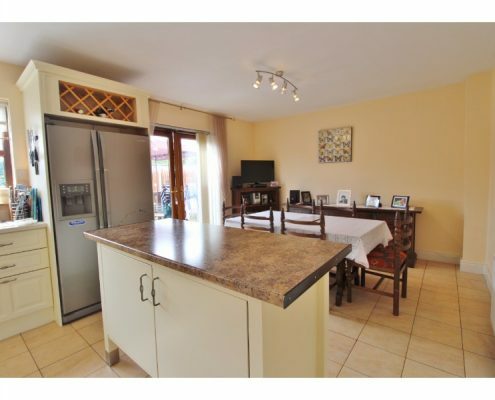 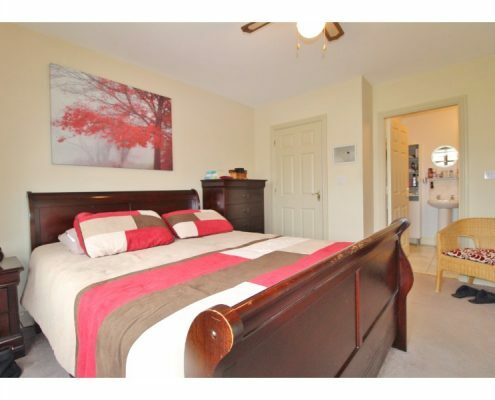 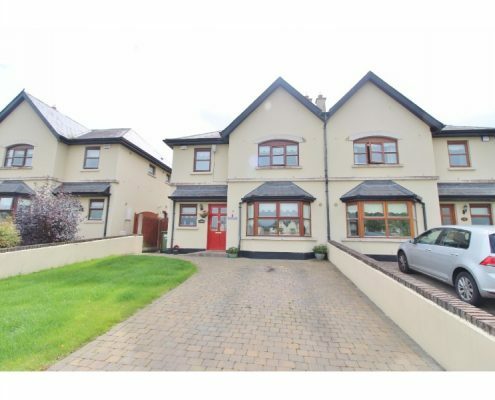 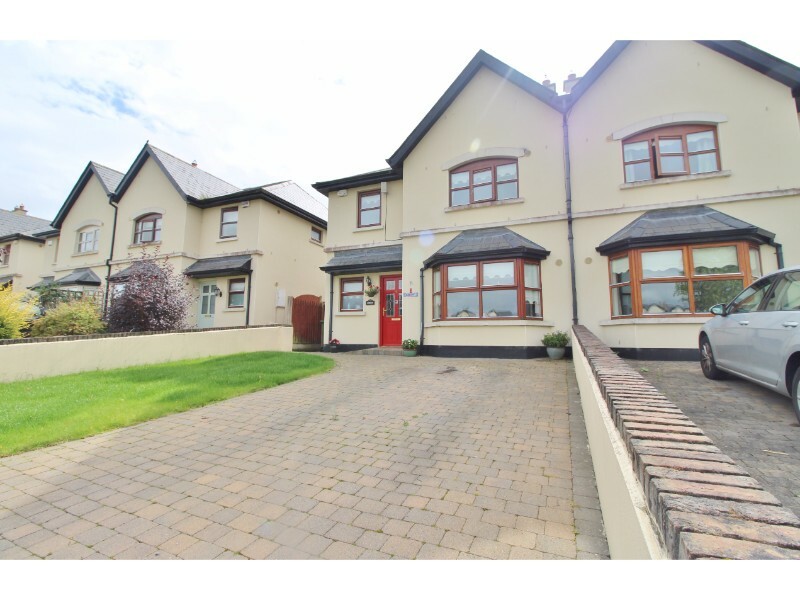 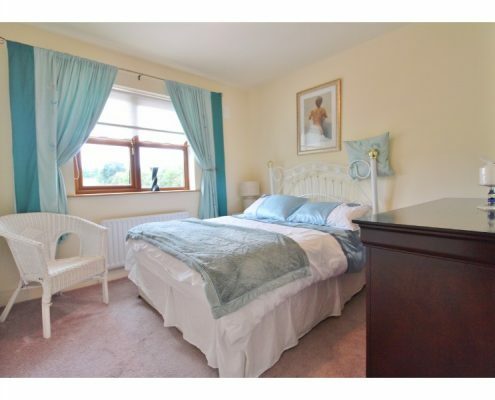 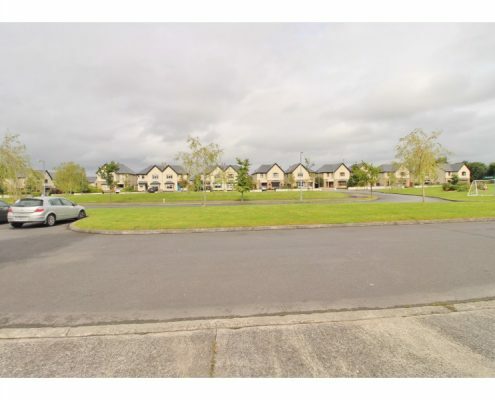 This stunning four bedroom (3 bathroom) semi-detached family home is presented in immaculate order throughout and is ideally situated on this modern, sought after residential development just a short drive from Newbridge and the M7. 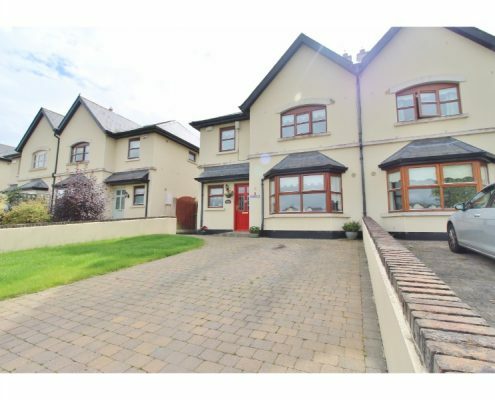 Overlooking a large Green area and backing onto open fields this superb property offers bright and very spacious living accommodation that comprises a large sitting room with feature fireplace, open-plan kitchen/diner, utility room, four great size bedrooms with en-suite to master bedroom, family bathroom and downstairs W.C. To the rear is a large, south-facing rear garden with raised deck and to the front is a smaller garden with off-street driveway parking. 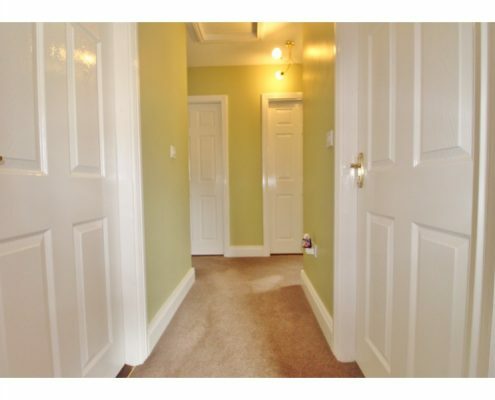 Many additional benefits include, full double glazing throughout, gas-fired central heating, fitted wardrobes and alarm. 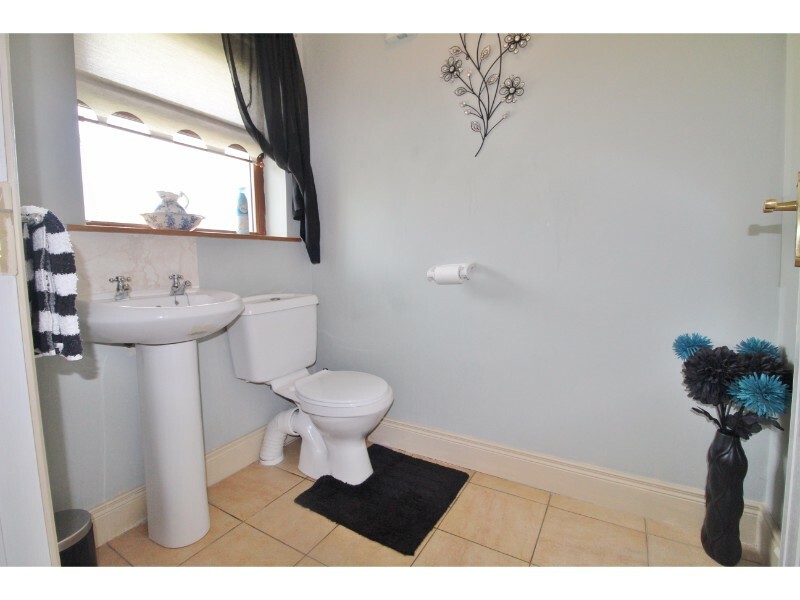 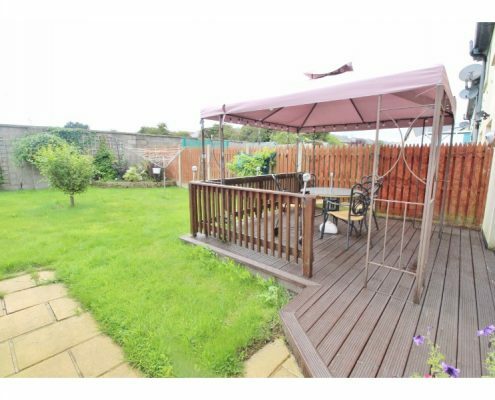 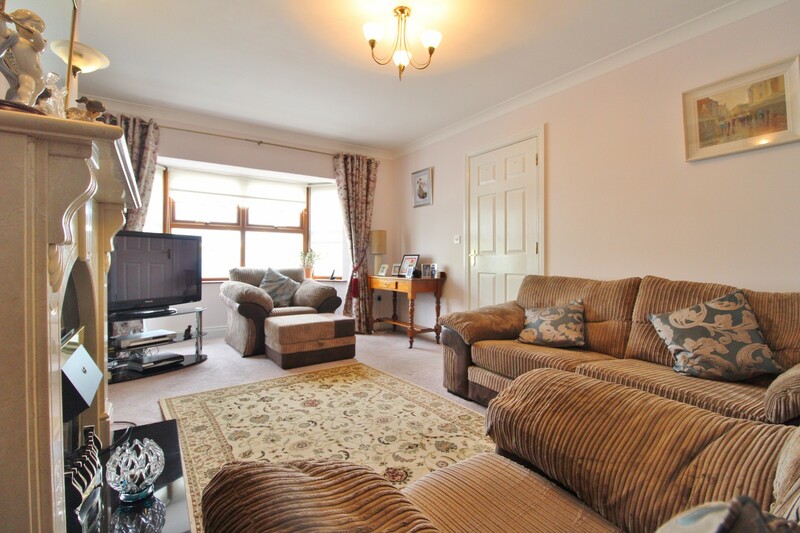 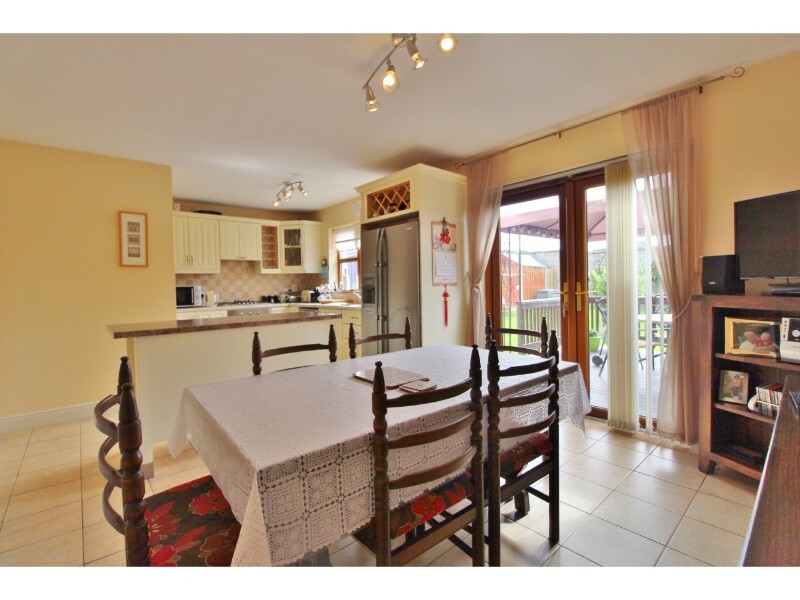 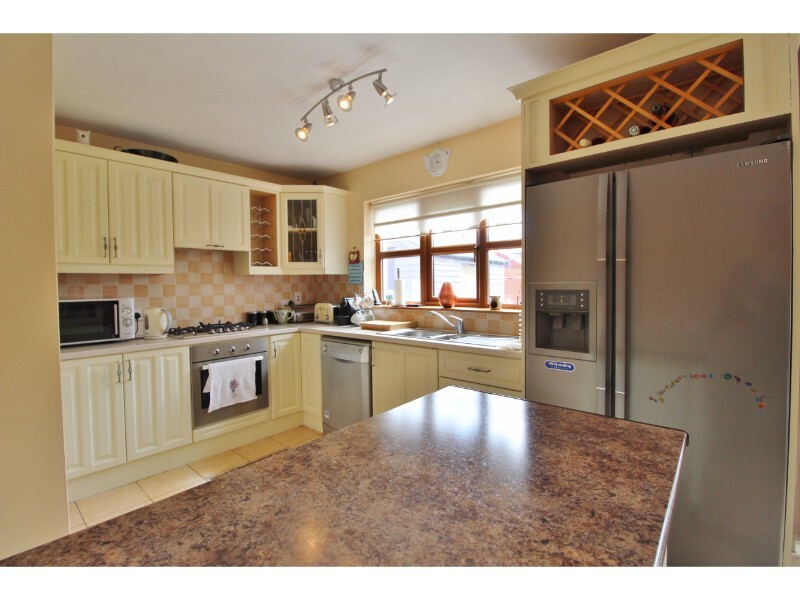 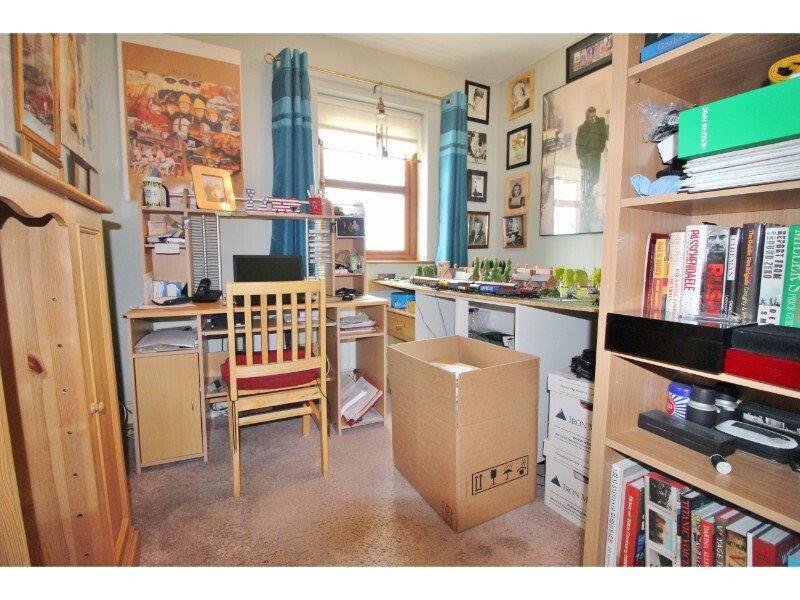 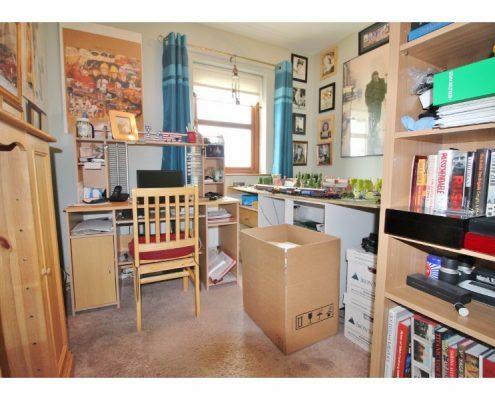 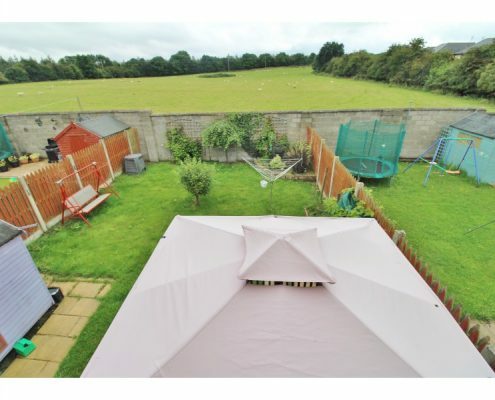 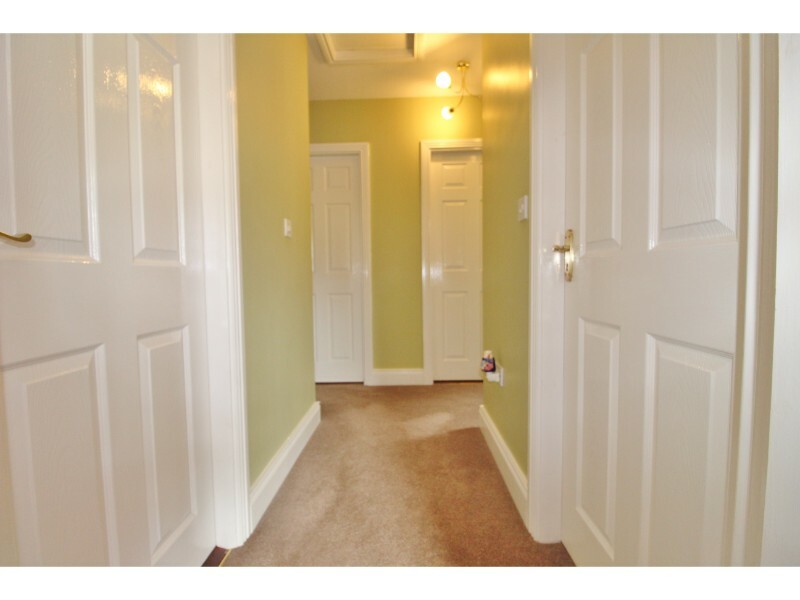 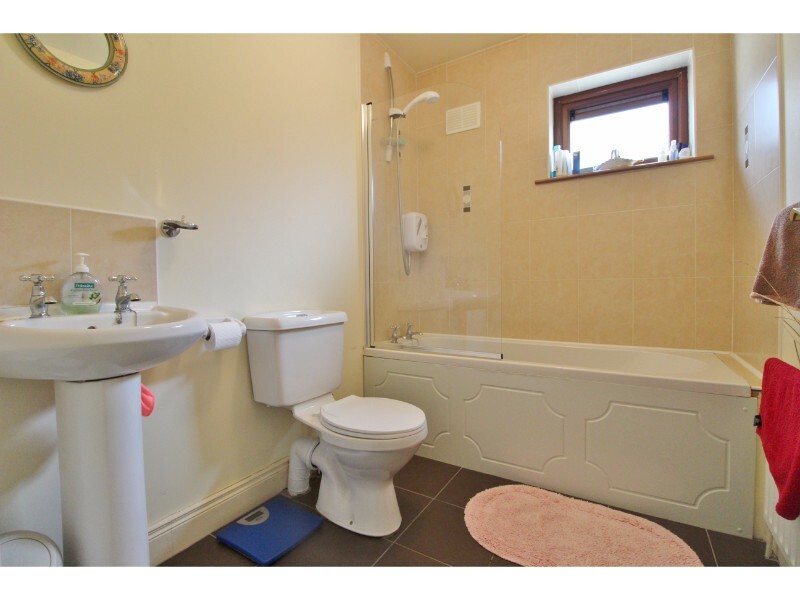 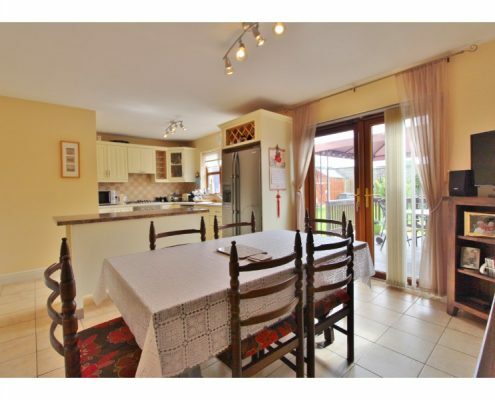 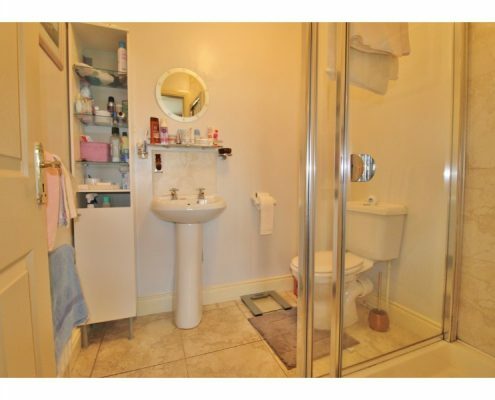 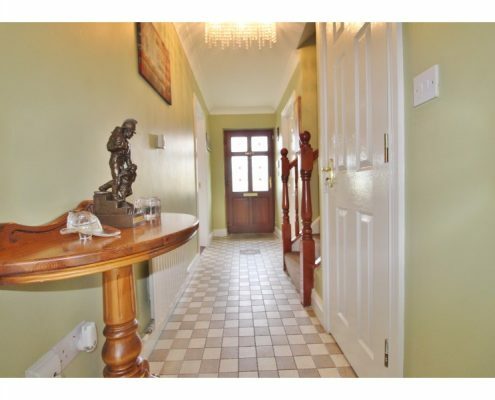 This lovely property really does have it all and an internal inspection comes highly recommended. 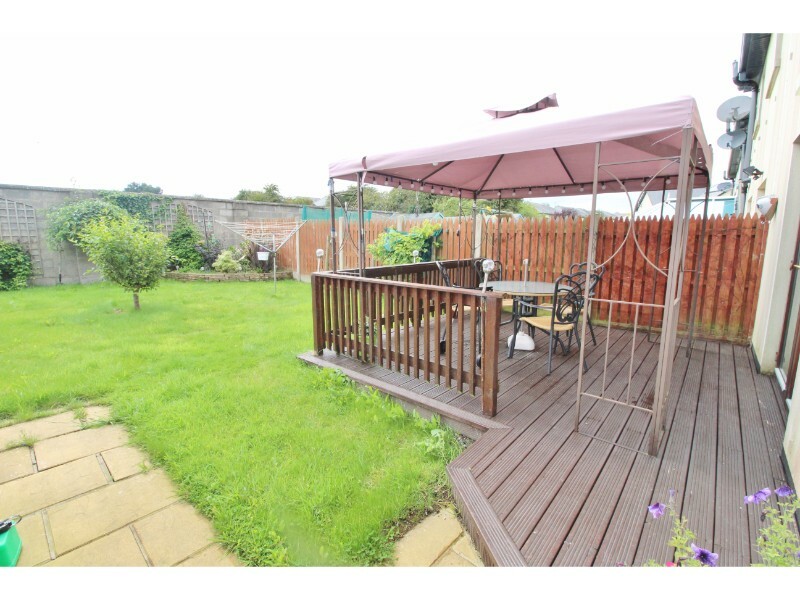 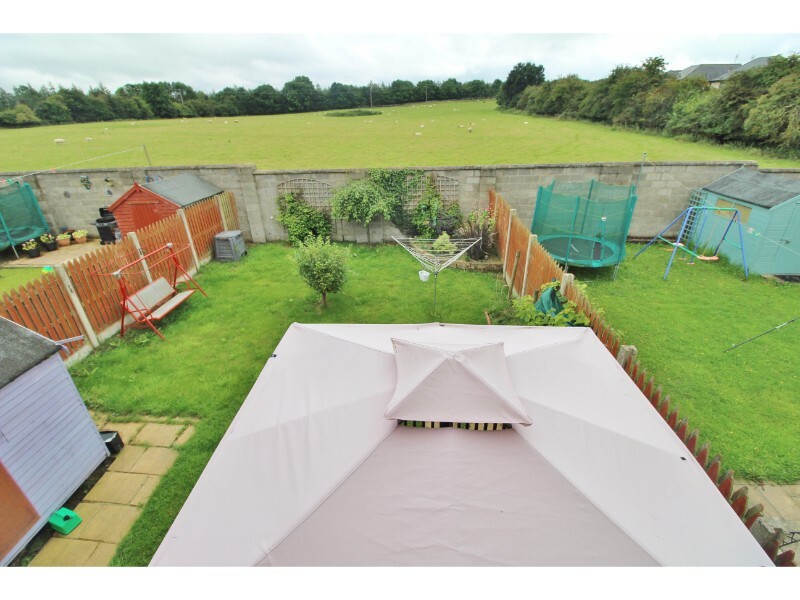 To view please call today on 01 490 0700. 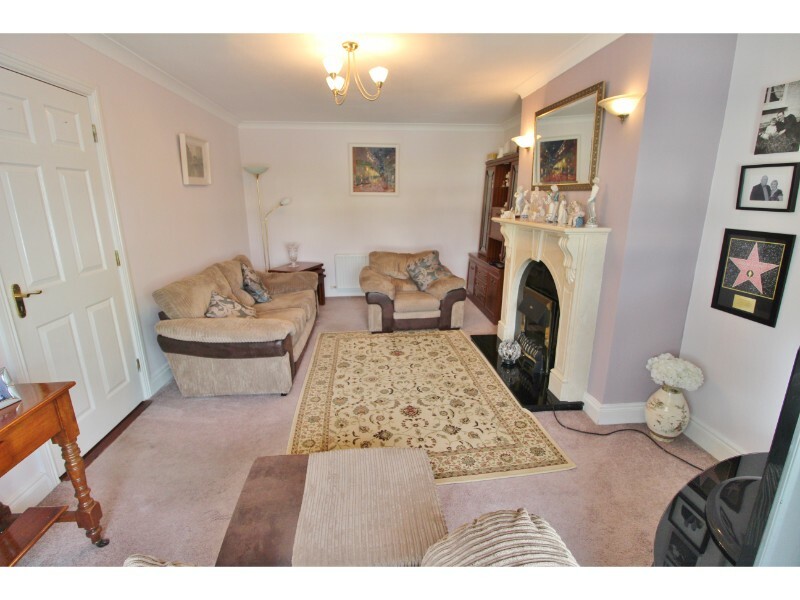 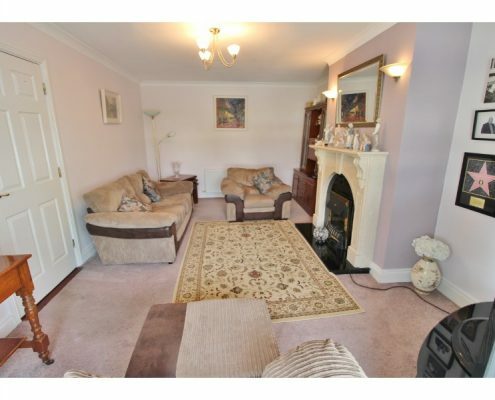 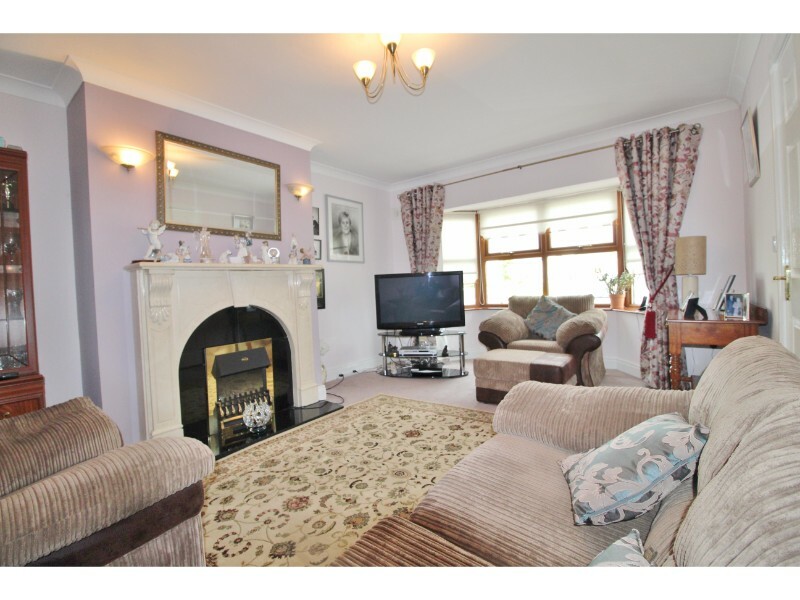 Sitting room: 6.04m x 3.63m with double glazed bay window to front aspect, feature fireplace with marble surround and hearthstone, marble mantle piece and coved ceiling. 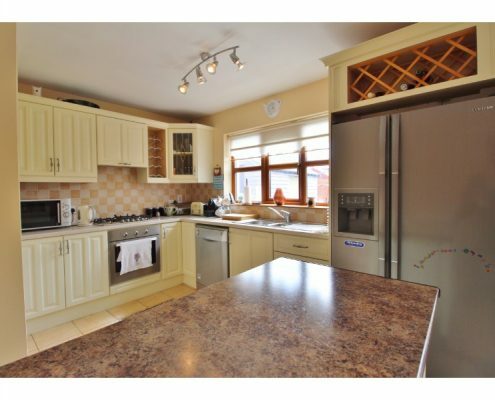 Kitchen/diner: 6.53m x 3.88m with double glazed windows to rear aspect, double glazed French doors to deck and rear aspect, ceramic tiled flooring, a range of eye and base level kitchen units with roll-top work surfaces and tiled splash-backs, inset stainless steel sink & drainer, American style fridge/freezer, integrated oven, 5 ring gas hob and extractor, dishwasher, island unit, door to utility room and spot-lighting. 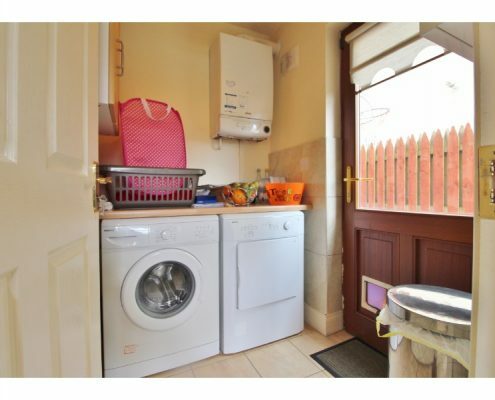 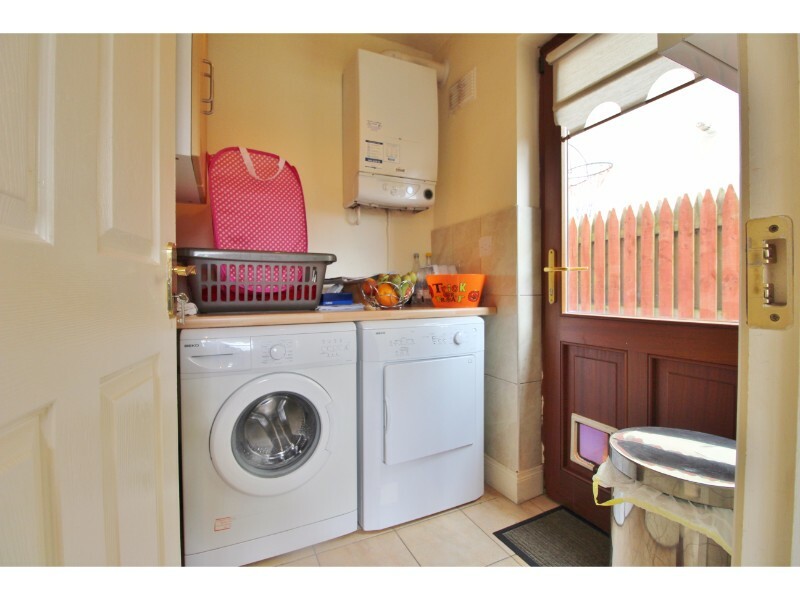 Utility: 1.79m x 1.54m with wood door with double glazed glass panel to side aspect and garden, ceramic tiled flooring, part-tiled walls, work surfaces, washing machine, dryer and wall-mounted gas boiler. 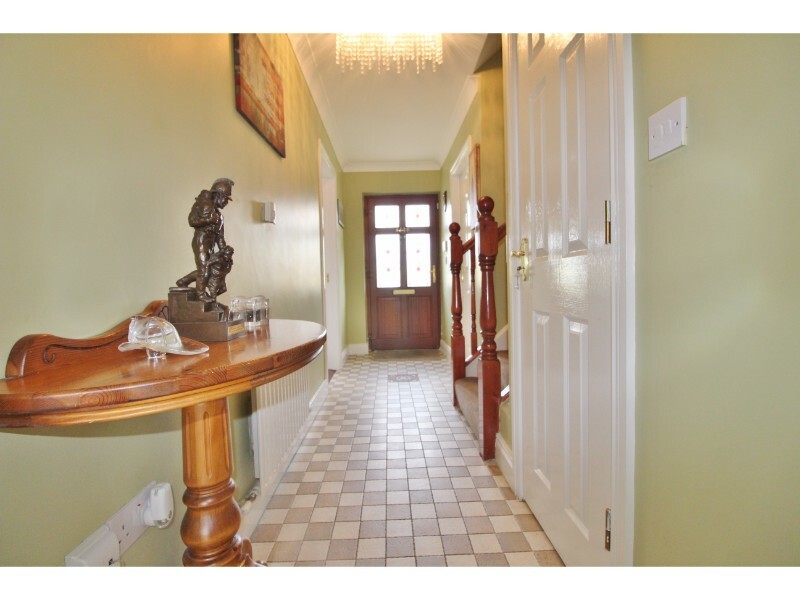 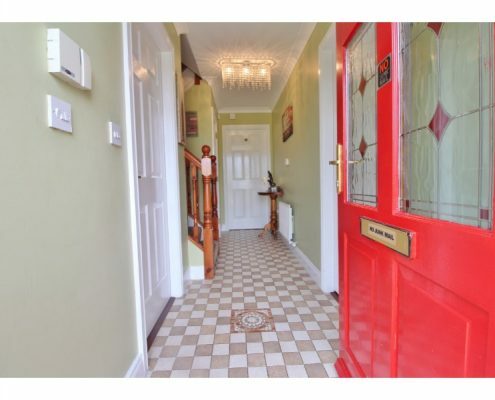 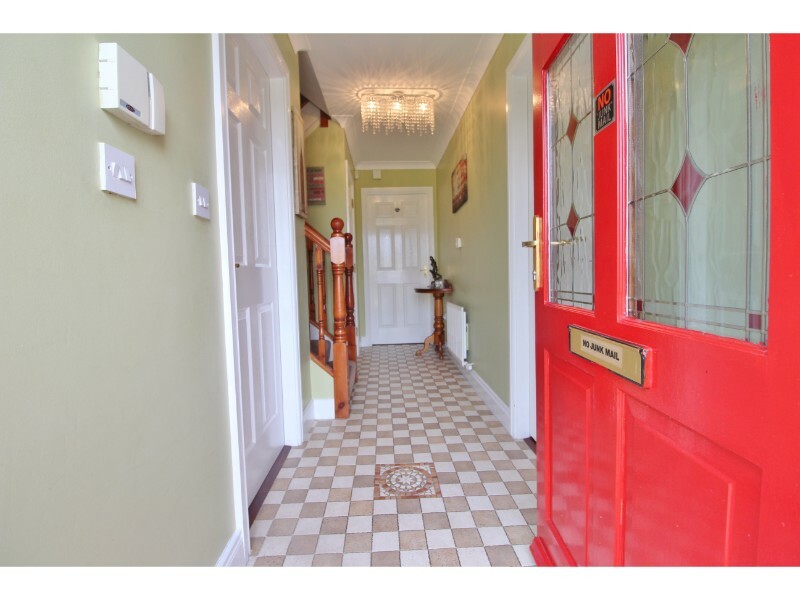 Entrance hall: 4.57m x 1.26m Covered porch to wood front door with double glazed, leaded light glass panels, ceramic tiled flooring, under-stairs storage, door to W.C., stairs to first floor and alarm pad. Landing: 4.45m x 2.83m with double glazed window to side aspect, hot press and loft access hatch. Master bedroom: 3.63m x 3.04m with double glazed windows to front aspect, a range of full-height, full-width fitted wardrobes and door to en-suite shower room. 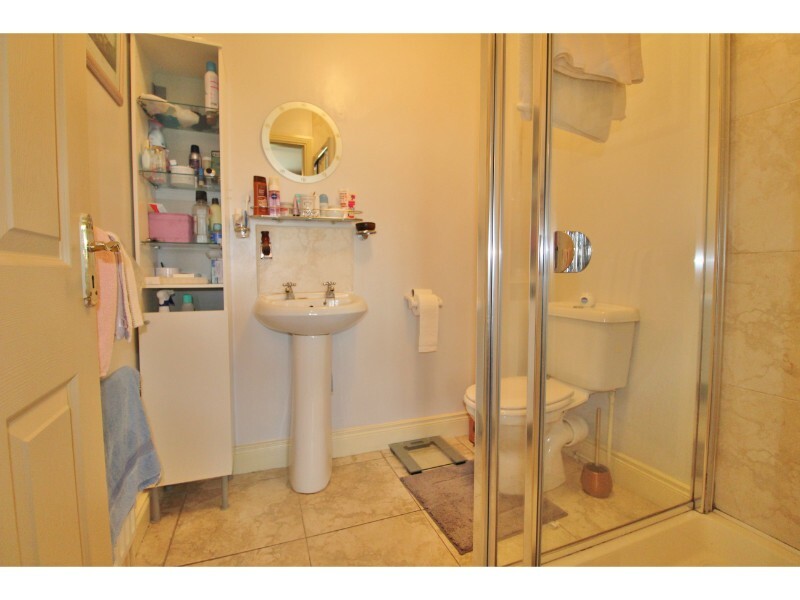 En-suite: 1.96m x 1.78m with ceramic tiled flooring, fully tiled, double shower cubicle with Mira electric shower, pedestal hand basin and W.C. 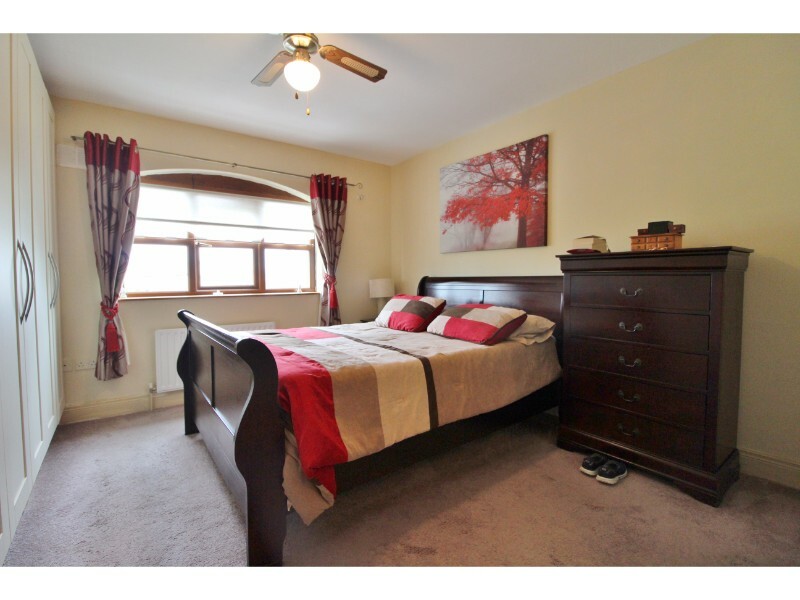 Bedroom 2: 3.47m x 2.96m with double glazed windows to rear aspect and spot lighting. Bedroom 3: 3.47m x 2.37m with double glazed windows to rear aspect and spot lighting. 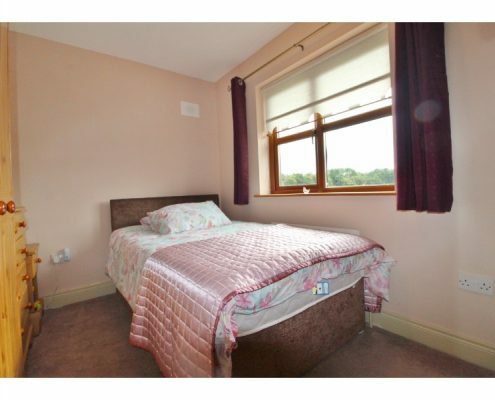 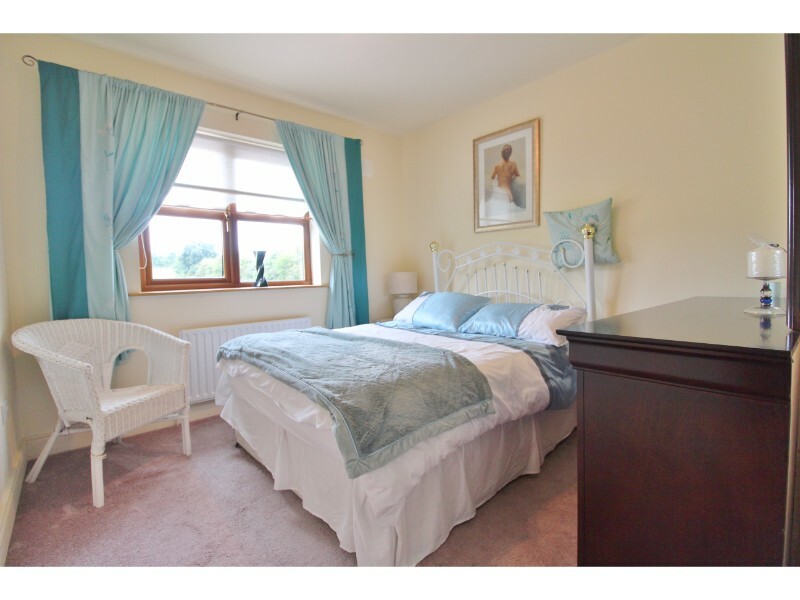 Bedroom 4: 2.94m x 2.77m with double glazed windows to front aspect and spot lighting. 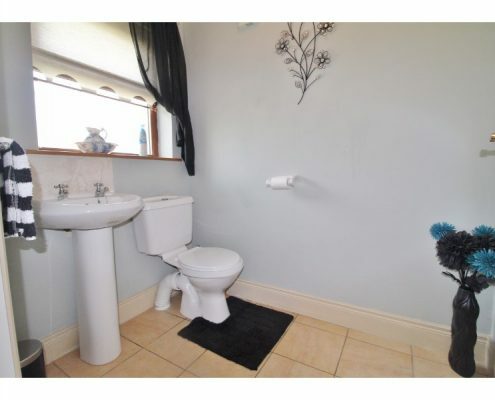 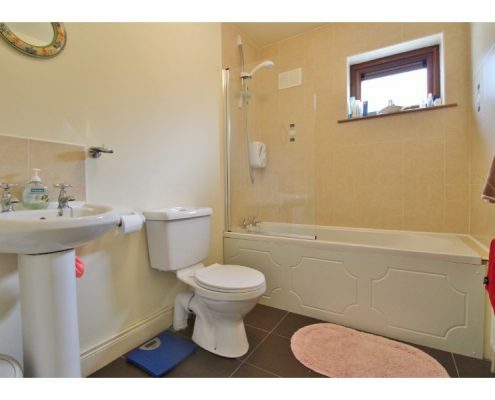 Bathroom: 2.33m x 1.77m with double glazed, obscure glass window to side aspect, ceramic tiled flooring, bath with Triton shower over and splash screen, pedestal hand basin and W.C.
Garden: Large, south-facing mainly laid to lawn with raised flower beds, large raised deck with Gazebo, wood-built shed and side access to front driveway. 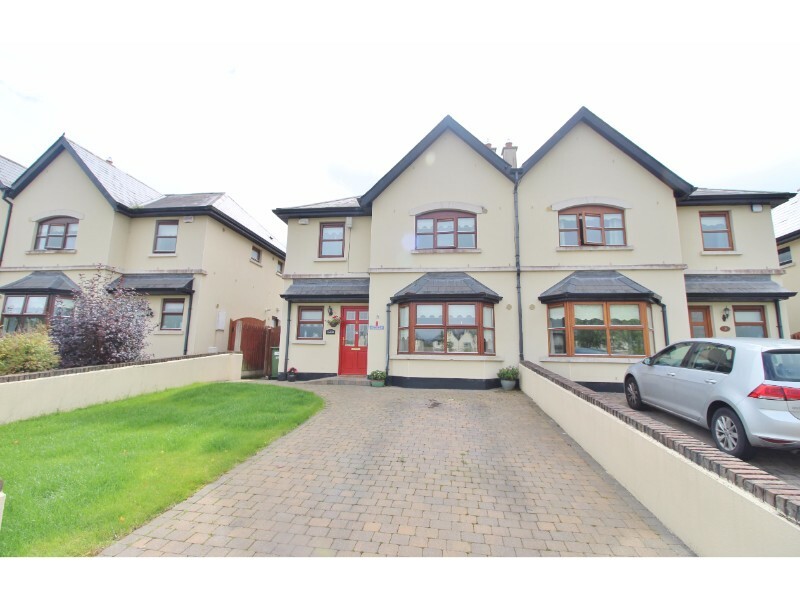 Front: Cobble-lock driveway and small lawned area.